Rambo: The Video Game is ranked in the 2nd percentile of games scored on OpenCritic. It would have been nice to report that the underdog turns out to be a unstoppable champion, but that was never realistically on the cards. So instead we get this: a cheesy, silly, mindless romp in which hordes of identical bad guys get turned to sticky red paste under the furious gaze of your twitching gun barrel. It's certainly not a good game, but it is a game with zero irony. It's not being corny and schlocky on purpose, which means that for all its faults Rambo honestly taps into the spirit of 1980s action cinema more deeply than you might expect - not in spite of its rough edges, but because of them. 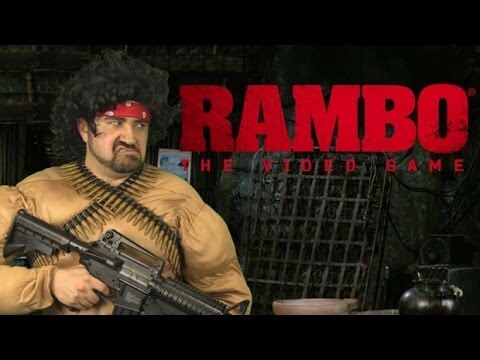 Half gleefully entertaining rail shooter and half primitive QTE-fest, Rambo: The Video Game ends up average. It's a shame that the OTT action is so often eclipsed by shonky production values and tragic instant-fail sections, but if you manage to find a competitive deal for the PC version, you'll find yourself having much more fun than you bargained for. Rambo: The Video Game gives you a war you won't believe. You won't have much fun, either. If you're in the market for an on-rails shooter and love the Rambo franchise, then you may want to pick up Rambo: The Video Game. "Nothing is over! Nothing! You just don't turn it off!" said John Rambo in First Blood. As far as the videogame is concerned, I'm sorry mate, I just don't agree. It's a dumb and silly game, and sure, it's not what you would call a good video game, but deep down there is some sort of hidden charm that makes me have a guilty pleasure when the game's doing its best. The rest of the time – prepared to be frustrated and bored. But it's Rambo, so ignore it at your own discretion. This game is not good, but it is playable, and the story follows the movies pretty well. A shallow, on-rails experience that really can't make much of a case for itself in 2014. So this is Rambo: The Video Game. Ugly as sin, flimsy beyond belief, and chock full of some of the worst barely-interactive gameplay you'll "enjoy" so far this year. I don't mind on-rails shooters even in the modern era, but there are certain concessions that should be made to ensure that they're not shallow. 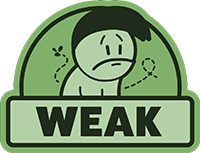 The fact that Rambo: The Video Game is being sold for almost full retail price is insulting, not to mention the fact that it feels mostly unfinished and uninspired. If you need a Rambo fix, you're better off just watching the original trilogy and acting like this never happened.